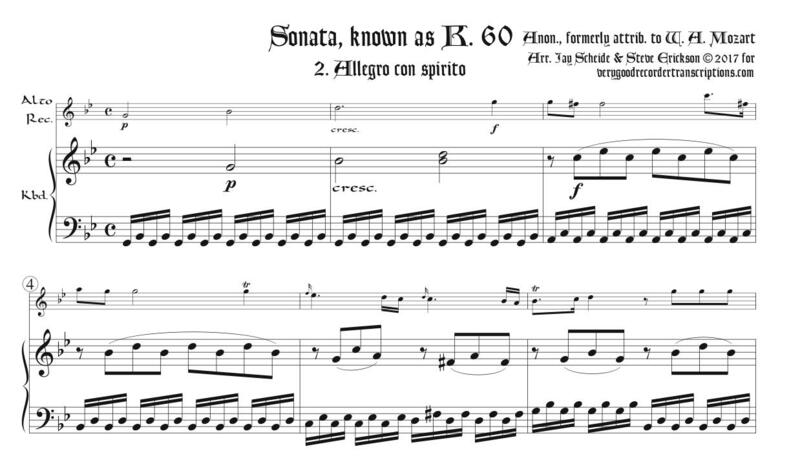 This sonata, now by most authorities considered anonymous, gained renown as K. 60 of Mozart. Originally for violin & keyboard in e minor, transposed here to g. Second movement only. This movement has a curious resemblance to the 1st movement of K. 304 by Mozart, of which we also offer an arrangement, and to the famous d minor concerto, K. 466, 1st movement.